This is another plant paper craft that the kids can add to their collection. 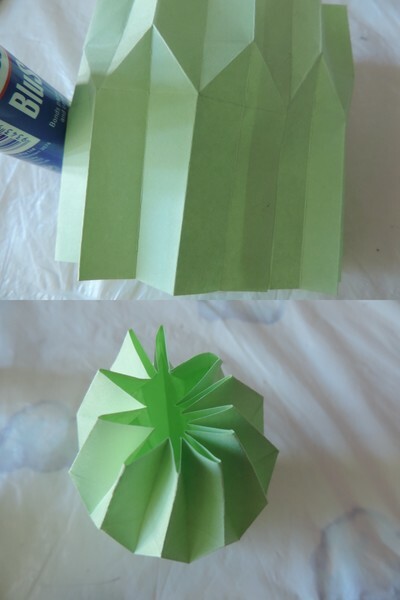 These paper cactus are fun to make and do not require many materials. It does demand some patience, but once put together make some really pretty decoration. 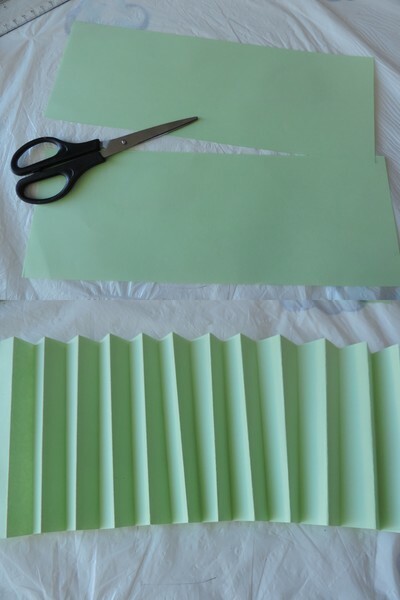 Cut green paper in half, lengthwise. 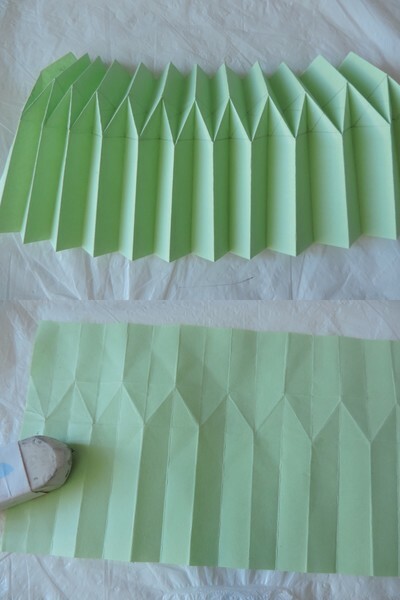 Start accordion fold paper. Make sure to press along creases both sides. Draw a 3 cm line and a 5 cm line from one end. 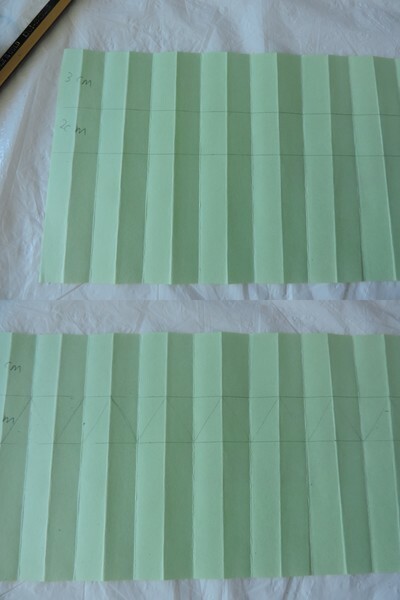 Draw triangle within the 2 cm gap, by joining diagonal lines along the vertical creases. Fold across the triangles gently. Note this will require some practice, but once you get the first folds correctly, the rest will be come easily. 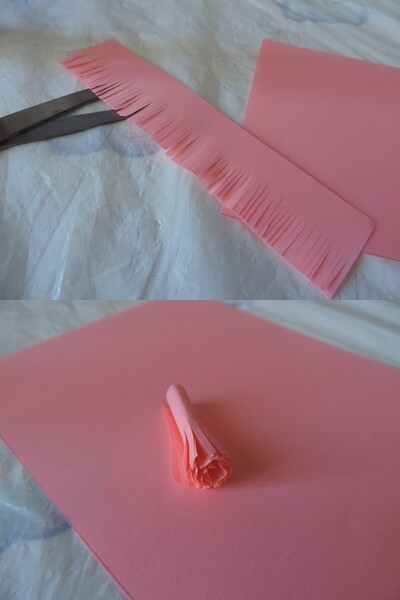 To make the flower, cut along some pink paper and roll.Glue. Put cactus in muffin cases and insert flowers.